Problem: It’s a problem, or a dilemma, as old as time. Let’s rehash, quickly. Your classic prisoner’s dilemma involves two prisoners being interrogated separately. If both deny committing the crime, they serve a short prison sentence. If both confess, they serve a longer prison sentence. But if one confesses, and the other denies, the confessor walks free and the denier does the longest possible sentence. In this scenario, there’s an advantage to cooperating, but a potentially bigger advantage to being selfish, if you’re down to take a risk. In the iterated prisoner’s dilemma, two players face the problem repeatedly, and as researchers found last year, one player is able to extort another using something called the zero determinant strategy, which forces unsuspecting opponents into taking the lower payout. A new study in The Proceedings of the National Academy of Sciences takes the ole prisoner’s dilemma one step further, looking at the best strategy to use when the situation plays out in a large, evolving population. Methodology: To test the effectiveness of different strategies, the researchers imagined an evolving population of players, a situation that represents what happens in nature more than repeated head-to-head competition. "Success" in this study just means receiving any abstract payoff a player could find valuable—and the players who receive higher payoffs get to reproduce more, and pass on their wisdom and sage strategies to the next generation. As in the classic prisoner’s dilemma, players could cooperate and create a win-win situation, or defect, and try to secure a bigger advantage for themselves. Results: In the long term, extorting, selfish strategies did not work as well as more generous strategies. Players who defected instead of cooperating suffered more over time than players who recognized the value of cooperation--though extortion might provide an advantage in a single head-to-head matchup, in the context of a whole population, over time, it pays to be generous. Sometimes cooperative players would even forgive those who defected and cooperate with them again. 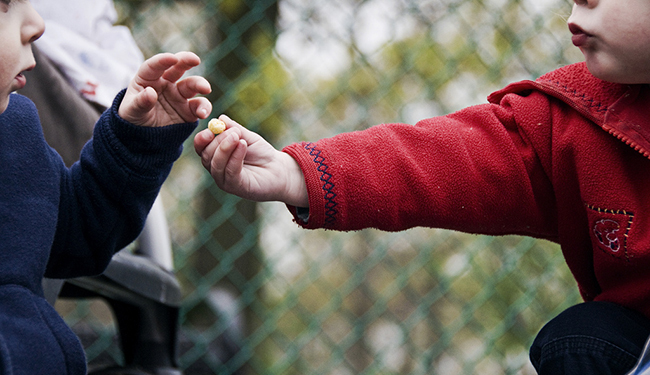 The researchers created a mathematical proof that shows, as study co-author Joshua B. Plotkin said in an email, "why generosity abounds in nature, despite the fact that it may appear self-detrimental in the short-term." Implications: Now we have some mathematical evidence that there is an evolutionary advantage to generosity, other than just good karma. With Darwin’s “survival of the fittest” ingrained in our brains, it often seems like every man for himself is the best strategy, and kindness is just an anomaly. But it’s an uplifting surprise to see a study that says that’s not the case, that we evolve best when we help each other. The study; From extortion to generosity, evolution in the Iterated Prisoner’s Dilemma; appeared in the Proceedings of the National Academy of Sciences.